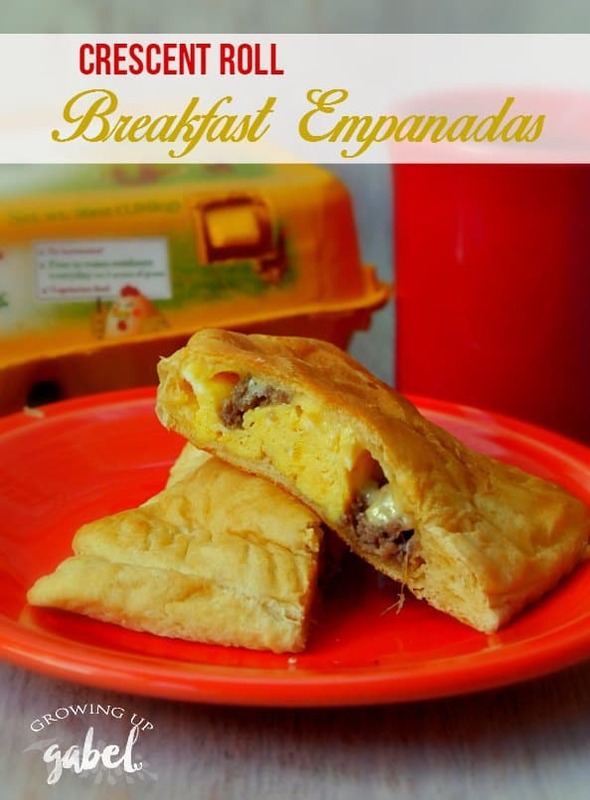 Breakfast empanadas are an easy on the go breakfast made with crescent rolls and filled with eggs, sausage and cheese. Breakfast used to be one of the easiest meals to feed my kids. They'd eat anything I put in front of them. But since they both started school, getting them to eat breakfast is almost impossible. I've found that it's easiest to make something they can eat in the car on our 15 minute drive to school. Thus was born the breakfast empanadas. I'm a big believer in eating a breakfast full of protein. The easiest way to do that is eating eggs. I eat eggs every single morning for breakfast. I'm very very picky about the eggs I eat. I want them fresh and healthy. The sign of a fresh egg is the color of the yolk. 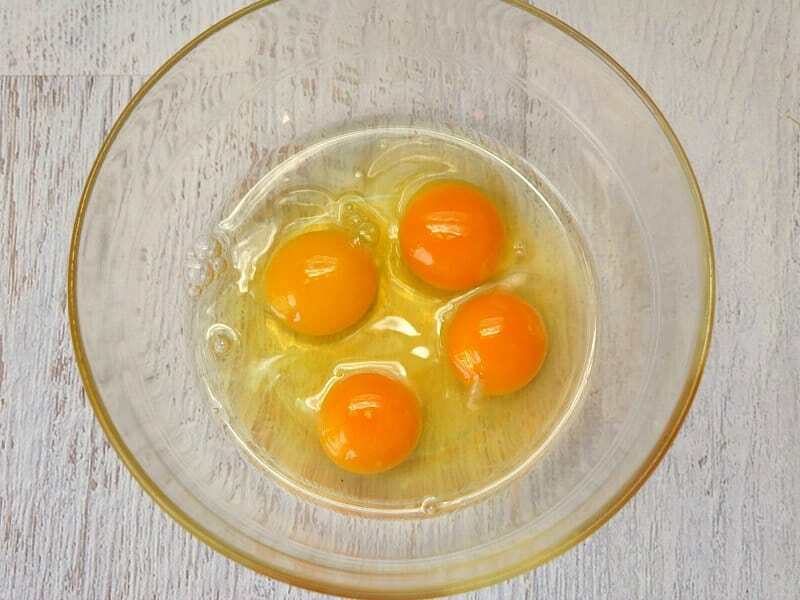 If your egg yolks are a pale or light yellow, they are pretty old. Fresh eggs have a deep gold, almost orange color. It's difficult to find this color of yolks in a store bought egg. We usually just have to compromise. But a few weeks ago we picked up a dozen and a half of eggs from the happy egg co. and were surprised to find golden yolks! 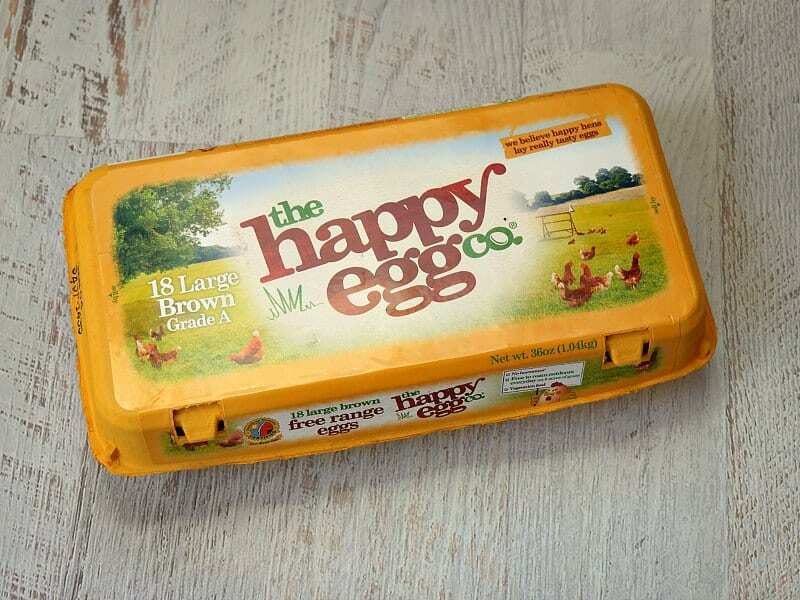 the happy egg co. eggs are raised on true free range farms. The egg aisle can be confusing with all the different labels – caged, cage-free, pasture raised, free range – it's hard to keep track of what is what. Cage free means that the hens aren't in cages, but it doesn't mean they have space to live. They are often crammed in to small living spaces without being able to move. 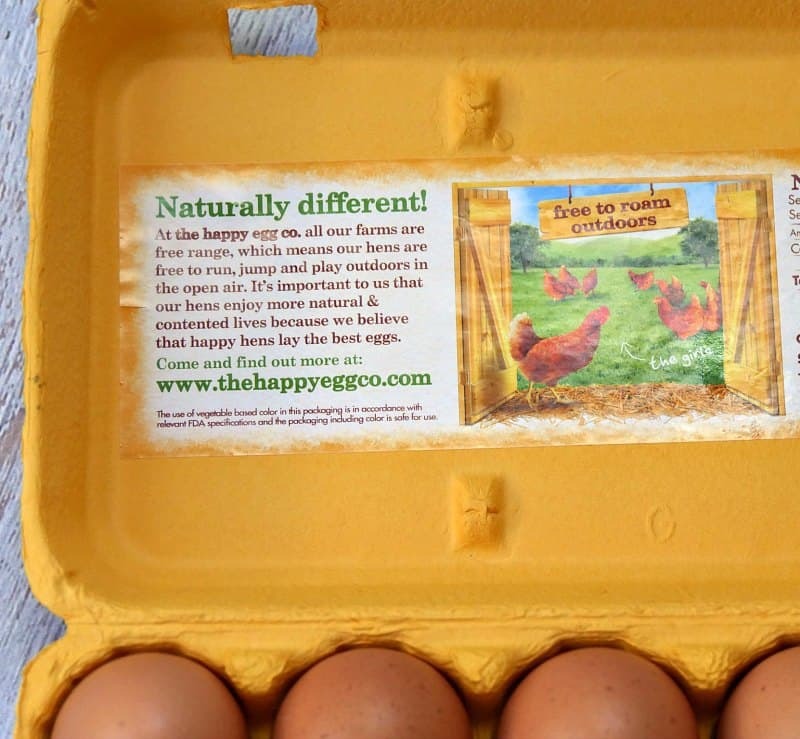 Eggs labeled free range, like the happy egg co., means that the hens have access to open pasture and can roam around. 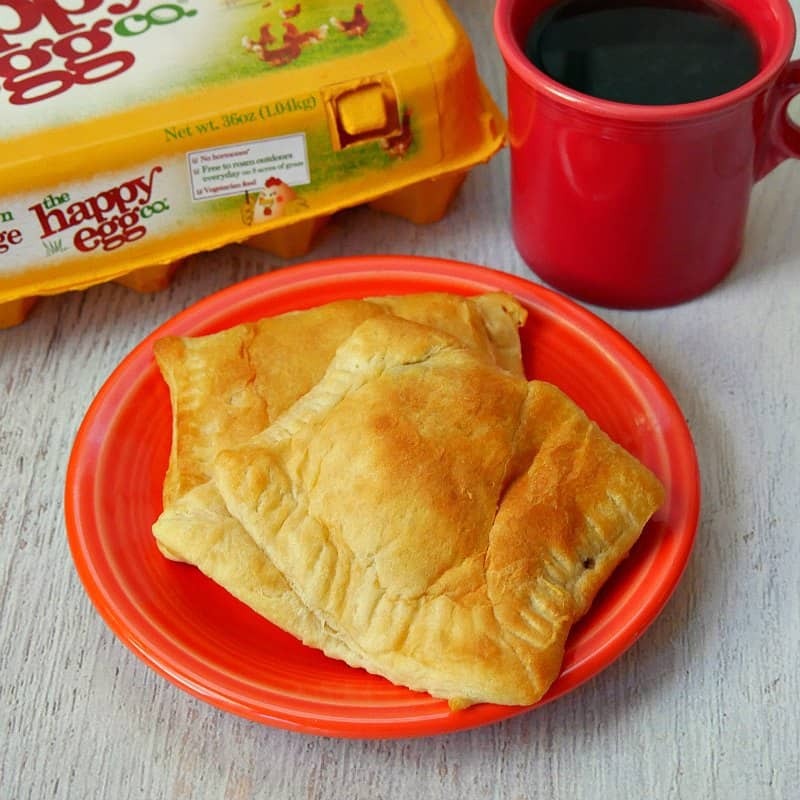 the happy egg co. hens have access to 8 acres of land to flap around and play. You can tell by the color of the yolks that these eggs are freshly laid by happy hens. We've eaten through at least 5 dozen of the happy egg co. eggs and they have been fantastic. So I used them to whip up some breakfast empanadas. 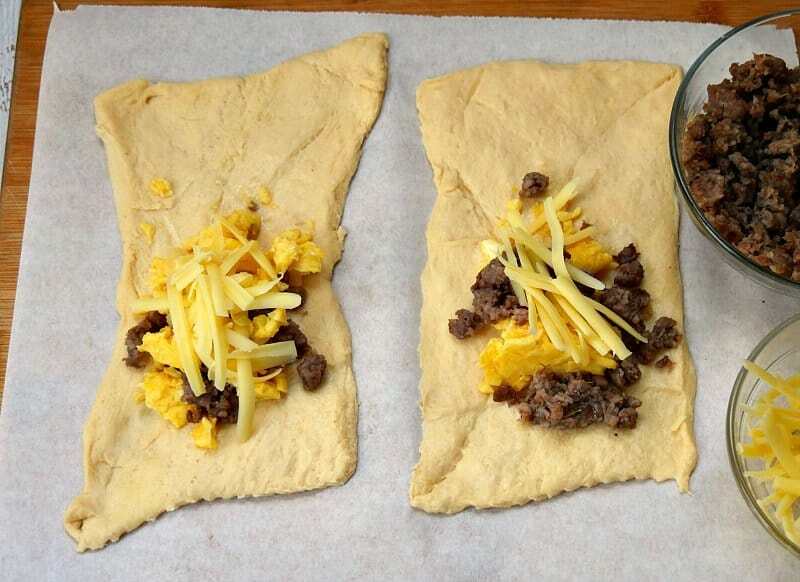 Breakfast empanadas are super easy to make using crescent rolls from a tube. 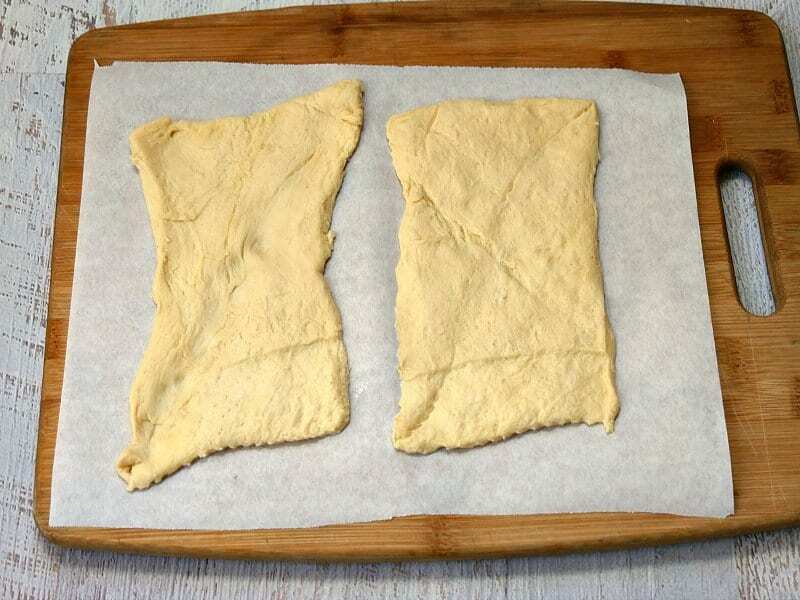 Divide the crescent roll dough in to 4 rectangles made up of 2 crescent rolls each. Gently press together the seams to make the rectangle. Fill the bottom half of each rectangle with scrambled eggs, crumbled sausage and your choice of cheese. I used a sharp white cheddar. Carefully fold the top half of the crescent dough over the filling. Use a fork to seal the dough closed. Bake at 375 degrees for about 7-10 minutes until the dough is golden brown. 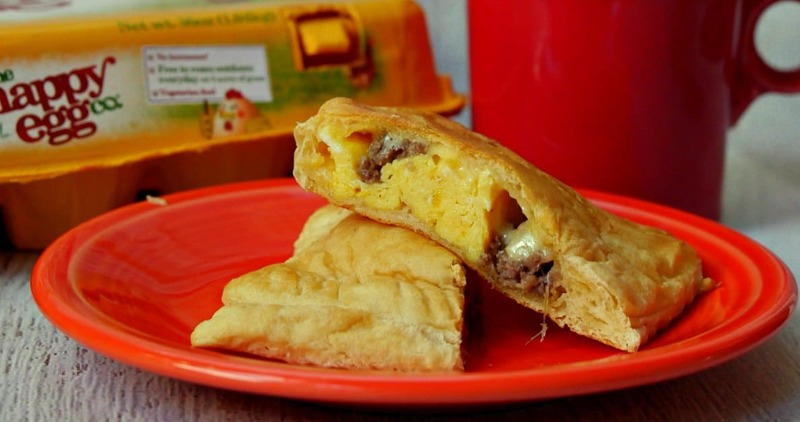 They bake and puff up in to a golden and delicious easy breakfast on the go. Place 1 1/2 tablespoons eggs, 1 Tablespoon sausage and 1/2 Tabelespoon cheese on the bottom half of each crescent roll rectangle. Gently fold half of the crescent roll over the filling. 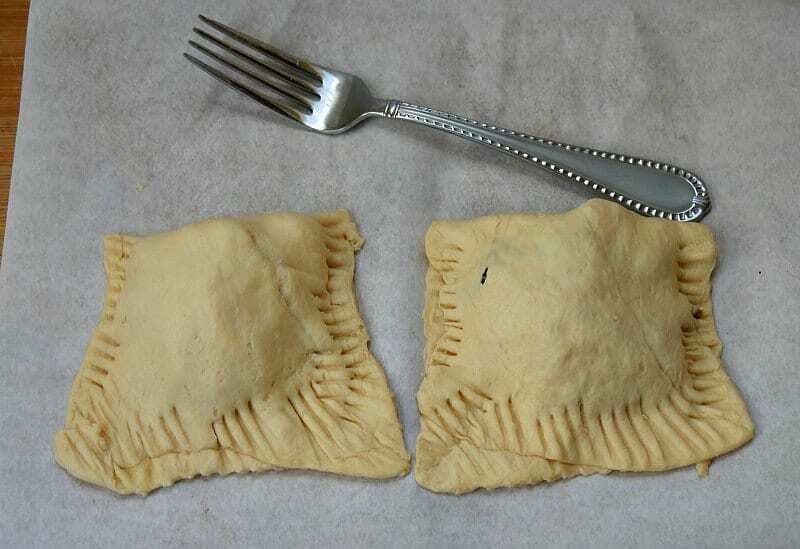 Use a fork to seal the edges of the crescent roll together. Bake at 375 degrees for 7-10 minutes, until the empanada is golden brown.